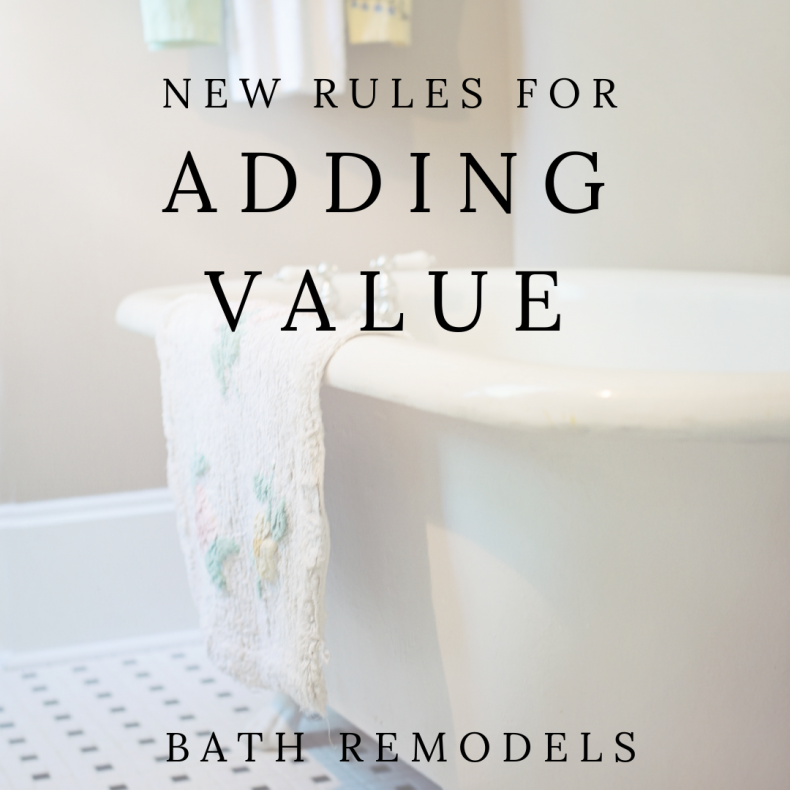 Whether you’ve got a leaky shower and have to endure a bathroom remodel or are just ready to see the pink tile and flowered wallpaper go, making decisions about remodeling a bathroom aren’t as easy as they once were. If you’re trying to decide how much to sink into your renovation, these are interesting statistics. The ROI for midrange renovations have increased while the ROI for upscale renovations have decreased. Also keep in mind that the real estate market is likely nearing peak prices. Overspend on renovations and you probably won’t see a dollar-for-dollar return when you sell. Costs of bathroom renovations (both labor and materials) have increased, further shaving the profit margin for sellers. Anything that is broken in your bathroom should be fixed. If your bathroom is outdated or just not to your tastes, statistically you’ll forfeit about 25% of what you put into the renovation. However that 25% may come with an emotional boost that’s worth it. If you shop for materials carefully, keep your updates streamlined and sensible, and cut labor costs by doing whatever you can do yourself, you could come closer to 100% ROI. If you’re planning to stay in your home a while, the odds are in your favor for ROI. After all, it’s less expensive to renovate a bathroom than it is to move. Be creative: Bathrooms can take all manner of décor rule-breaking, so be creative in order to save money. Stick to the basics: You can’t go wrong with a simple vanity, white field tile, and white walls or shiplap. If you’re confused about whether or not you should pay for renovations with a HELOC or home equity loan, check out our post that explains the difference and how they can work for you. If you’re willing to take the middle path for a bathroom remodel, either loan can benefit you, while high-end renovations can stretch the boundaries of the benefits of a HELOC or home equity loan. In the current real estate market, the net-net of bathroom remodels is this: If something is leaking or broken – fix it. If you’d just like to refresh or renovate your space – go for it, but make simple, sensible changes if you’d like to recoup as much of your investment as possible.